My pre-mom life involved two extended stays in Paris: I studied abroad for one semester in college, then returned after graduation to teach English for a year. Both experiences were exciting, rewarding, life-changing. But I have to admit that at the time, I gave very little thought to how my mom was handling it all. As a parent myself now, I have a sense of how hard that separation was for her. My kids are still young, but when I think of one of them someday doing what I did and moving to the other hemisphere, my pulse starts to race. Although I know from my own past that living abroad can forever enrich your life, I know from my present that it must be extremely hard for a parent to see her child go so far away. 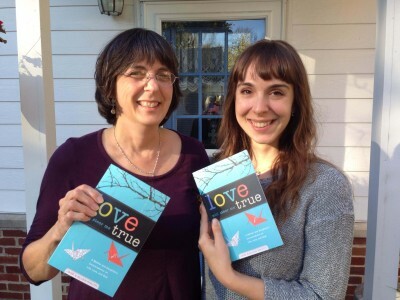 So I could very much relate to the book Love Will Steer Me True: A Mother and Daughter’s Conversations on Life, Love, and God by Jane Knuth and her daughter Ellen Knuth. In fact, I didn’t just relate to it; I loved it. 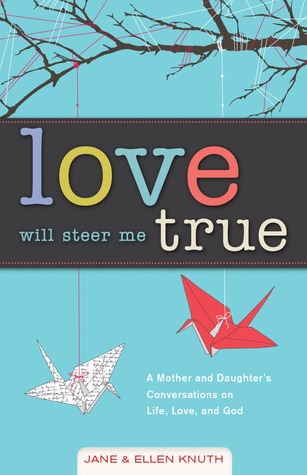 Love Will Steer Me True tells the story of Ellen’s experiences teaching English in Japan, and — here’s what makes it so unique — it’s told from the point of view of both mother and daughter, alternating narrators. As a result, you get an insider view on the relationship between a mother and her adult child, along with two perspectives on faith and culture and letting go. It’s real, honest, and touching, and I was delighted to have the chance to talk to both Ellen and Jane about the book. What is the two-sentence description of your book? Jane: This is a true story about women’s spiritual journeys told from the perspectives of a mother and daughter . The daughter, Ellen, is working and living in Japan for four years in her mid-twenties, and the mom, Jane, is back in the USA worrying about how God fits into all this. What was it like to collaborate on a book? What were the challenges of co-authoring, and what were the unique joys? Ellen: Having never written a book before, collaborating with my mother on the manuscript was a great way to enter the writing world. I was initially concerned about being able to maintain a distinct “voice” without becoming too influenced by my mom’s writing style, but once we hit our stride it was great fun discussing how our chapters would play together. Jane: I thought it would be more difficult than it was. It was fun to read Ellen’s chapters and remember the events together. We spent one long weekend in a motel in Kentucky in order to pull the thing together, which was exhausting, but fun. I always find that writing about my experiences makes me understand them in a new light. What did you learn about your own experiences as a result of writing this book? 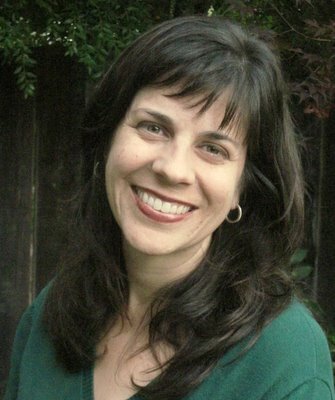 Ellen: Putting the stories to paper really brought into focus how all of these seemingly un-connected events that happened over the course of several years were, in many ways, a fluid progression. It helped me reflect on how far I’d come and how much my relationship with my mother had grown during my time away. Jane: I learned that my motherly worry is often not helpful. It can stunt the growth of the child and the parent both. Jane, I love the scene when your husband reminds you that worry and prayer are not the same thing. How do worries change as your kids grow up? How has your prayer life changed as your kids have grown up? Jane: When the kids were very young, I worried that I wasn’t doing things right, teaching them enough, spending quality time, etc. Once they were in college, I worried that they hadn’t understood all I tried to teach them, and I began to teach them over again. That’s what people commonly call nagging. My husband pointed this out in a gentle way and encouraged me to pray silently instead. Prayer of this type is a huge leap of faith because you are turning over your heart to God and trusting that he won’t drop it. Ellen, it was fascinating to read how your experiences in Japan helped you see your childhood faith traditions in a new light. What is the biggest lesson that your time abroad has taught you about faith? Ellen: That love is truly at the core of my faith journey. Even in the hardest moments when I felt confused or lost, love anchored me. What did you learn about each other’s experiences of this time that you didn’t know before writing the book? Jane: I didn’t know the story of Ellen’s conversation with Ayden, her agnostic friend, after the death of her friend Rodger. Ayden is a loving, whip-smart, courageous young man who verbalizes the non-faith perspective of death in a touching way. What is one thing your daughter/mom wrote in the book that really surprised you? Jane: I was surprised that Ellen yearned for her parents to be proud of her and what she was doing in Japan. We have always been proud of our kids, so this struck me . I think what she wanted was that we would give our blessing to her . Our worry, and expressing our worry, was kind of like an anti-blessing. She didn’t need that. Ellen: Though I could objectively identify my mother’s worries as coming from a place of love and good intention, it wasn’t until I read her chapters that I understood that no anger and disappointment factored into her worry. That was a huge surprise! What is the best thing a mother can give her daughter before she moves overseas? Ellen: Her blessing! My mother and father took the time to write a series of notes for me before I left. They were labeled with titles like “For a bad day” or “For when your head feels fuzzy”, etc and having those little affirmations of their love and support to read and save on the days I felt lowest were awesome. Jane: A rosary. It’s a prayer, a blessing, and a link to home, all in one little package. Thanks to Ellen and Jane for being my guests here today! 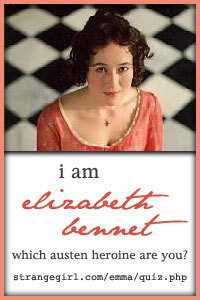 And, gentle blog reader, do yourself a favor and read Love Will Steer Me True. It’s available from Loyola Press, Amazon.com, and BarnesandNoble.com. This entry was posted in Interviews, Mmmm .... books. Bookmark the permalink. A mom and daughter travel date sounds like great fun, Therese. But some of the places Ellen goes are way beyond me. Your mom is an adventurer! Ginny, you ask such wonderful questions when you do these author interviews! I had heard of this book before and meant to read it, but now I’m even more eager. Thank you! Thanks, ladies! I love doing Q and As … they are so fun to read.